In Gaziantep, an old Turkish city on the Eastern and Southern Most part of the country, bordering Syria, i had the fortune of meeting 2 Syrian young men who were involved in the initial student and popular uprising, part of the so-called “Arab Spring”. They were among the most charming, intelligent, funny and friendly guys i’ve ever met, and had become wanted men and refugees, one of them with a price on his head, hiding out in Turkey. They told inspiring and harrowing stories of the spontaneous peaceful demonstrations against the oppressive Assad regime, how it kept going in the face of brutal repression by police and military. And of how the government, in 2011, released thousands of jihadists from prison, while the revolutionary political prisoners stayed in captivity and continued to be tortured, in order to dilute the rebellion, to brand the opposition as extremists, and create a false choice for the population, of either government or fundamentalism. Shortly after that, the US backed jihadist group known as ISIS or ISIL infiltrated, and the country has been steadily torn apart by violence, its infrastructure crippled, its glorious ancient cities destroyed, creating multiple and massive humanitarian nightmares. In addition to first hand accounts of these events, one of these guys also gave me a collection of amazing contemporary Syrian Debkah, a modern dance music with ancient roots, very popular in many parts of the Middle East. 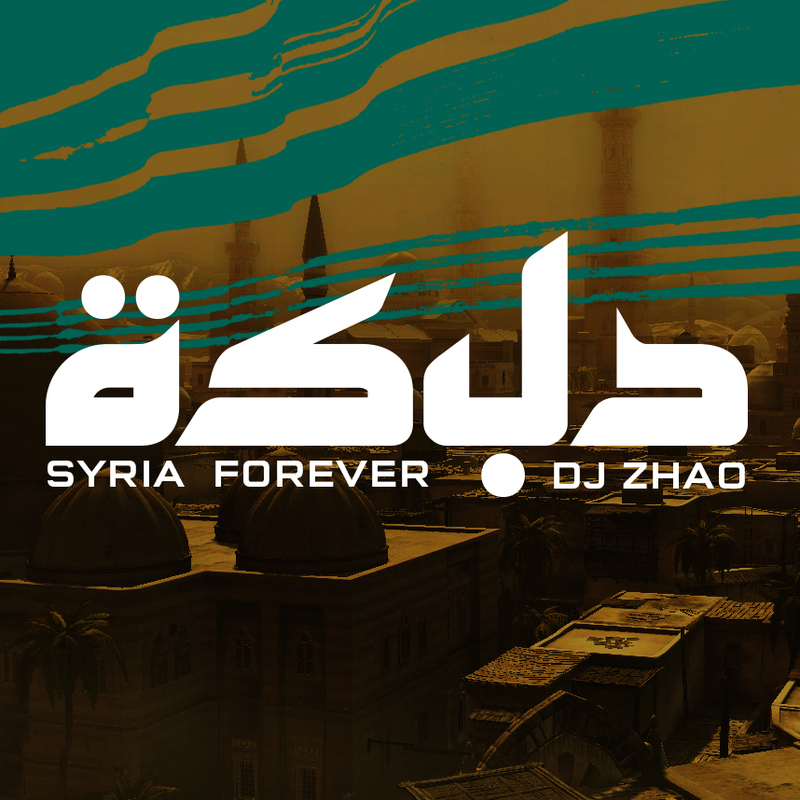 In these extremely trying times, and when news media coverage of the country is filled with nothing but tragedy, let us never forget the incredible cultural wealth of Syria, and the powerful, beautiful majesty of Syrian music. The only exposure to Dabkah in the West in recent years has been Omar Suleyman, whose popularity might be due to the rough and simplistic aspects of his music being appealing to “alternative” music fans, or maybe it’s just luck. In Syria he is considered an unimportant and low level musician, something like an ignorant redneck. But he not only makes sub-standard Dabke (I’ve realized after listening to the music on this mix), but has also dedicated one of his songs to the Assad regime, and never once spoke or sang about the struggles of the Syrian people, living a wealthy life in Turkey. Even though one of his tunes appeared in NGOMA 04, I will likely not be playing much of his music in the future. This entry was posted in Mixes and tagged Arabia, Dabke, Debkah, Middle East, syria by ngomasound. Bookmark the permalink.